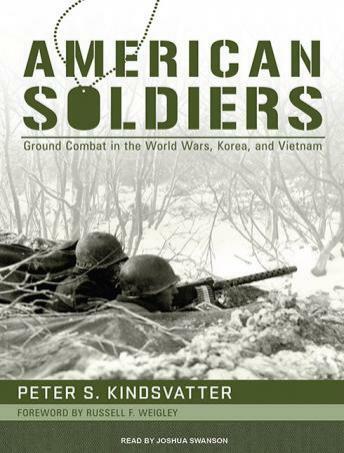 Focusing on both soldiers and marines, Peter S. Kindsvatter draws on histories and memoirs, oral histories, psychological and sociological studies, and even fiction to show that their experiences remain fundamentally the same regardless of the enemy, terrain, training, or weaponry. Here are the first tastes of battle, as when a green recruit reported that 'for the first time I realized that the people over the ridge wanted to kill me,' while another was befuddled by the unfamiliar sound of bullets whizzing overhead. Here are soldiers struggling to cope with war's stress by seeking solace from local women or simply smoking cigarettes. And here are tales of combat avoidance and fraggings not unique to Vietnam, of soldiers in Korea disgruntled over home-front indifference, and of the unique experiences of African American soldiers in the Jim Crow army. By capturing the core 'band of brothers' experience across several generations of warfare, Kindsvatter celebrates the American soldier while helping us to better understand war's lethal reality-and why soldiers persevere in the face of its horrors.